The Question: Where’s The High School Baseball? Questions sent to Press Pros this week about why so much college, and no area high school baseball. Give me a minute to go turn off my sump pump…and I’ll answer your questions. To those of you in the area that have written and texted over the past few days asking about high school baseball coverage…the answer is as simple as your favorite Peter, Paul and Mary song – Blowin’ in The Wind. Or, in southwest Ohio’s case…Blowin’ in The Wind And The Rain/Snow! I will add, also, to the true die-hards who are not fooled by baseball vaudeville at minor league games, or turned off by $10 beers at GABP, that the absolute best baseball you’ll probably see (in person) this year is undoubtedly at Bill Davis Stadium. The Ohio State Buckeyes are a fun team to watch – sound – and the Big Ten, overall, is probably more sound on the fundamentals of the game than the average A League in minor league baseball. The Buckeyes are 19-8 as of this writing, play on the road this weekend at Iowa, and are leading the Big Ten in hitting with a cumulative average of .309. The top five hitters in their order are all hitting .320 or higher, and if you like line drives and home runs the Big Ten will not disappoint. As to the question about true talent, consider the number of Big Ten players taken in the MLB draft the last three years…including Iowa first baseman Jake Adams, who led the Big Ten with 29 homers last year and was taken in the 6th round by the Houston Astros. And the current Buckeyes roster is complemented by a number of future picks, including outfielder Dominic Canzone, infielder Conner Pohl, pitchers Ryan Feltner and Seth Kinker…and as they’re want to say in baseball, players to be named later. They’re worth your drive to see – easy, affordable, comfortable (except for the temperatures), and accessible. Coach Greg Beals does a great job of selling his program through his current players. Mike Wiss has another fine team at Minster this spring, buoyed by their 2017 Division IV title, pitching, and enough experience around the field to make another deep run come tournament time. Likewise, Fort Loramie’s freshmen and sophomores that won 20 games last year will be back, more experienced, and eager to take the next step under new, first-year coach Jeff Sanders. Junior lefthander Jared Middendorf is a strike thrower, and I think a prospect above and beyond the Shelby County League to play at another high level. And in Shelby County League baseball, Loramie will have plenty of competition from Anna and Russia, both with experience and enough arms on the mound to make a run at 20 wins. In the MAC, Versailles is usually a presumptive favorite, along with Minster, and returns a capable pitching staff anchored by OSU recruit Cole Niekamp – aka “Smoke”. Now, if the Tigers can consistently score enough runs to, they’ll again be fun to watch and a threat to make a run in the Division III tourney. 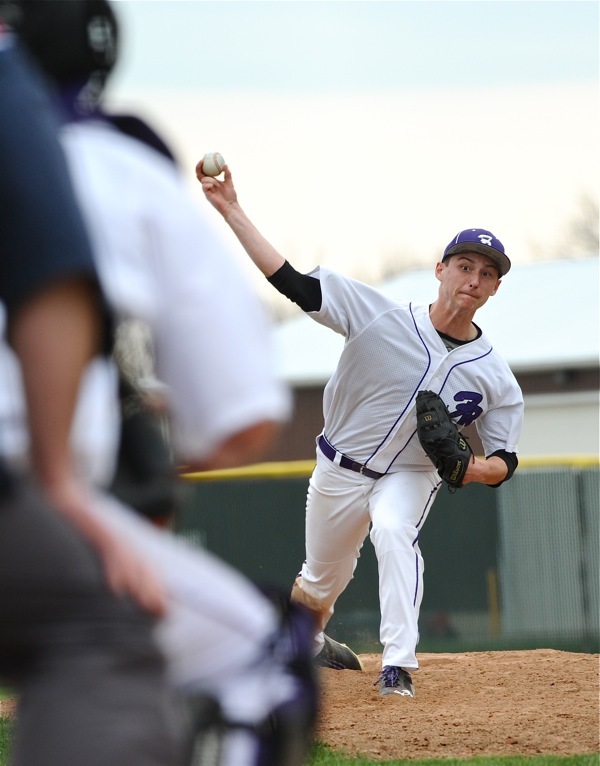 Likewise, some say the best pitching prospect in west-central Ohio is playing his senior year at Fort Recovery – Nick Thwaits – who’s already throwing in the 90s and committed to play next year for Jeff Duncan at Kent State, and pitching coach Mike Birkbeck. Playing in Division IV, the Indians aren’t flashy…they just win under long-time coach Jerry Kaup. Troy will be young, but talented enough on the mound to make things interesting in the GWOC North. Coldwater is going to contend, as well. The Cavaliers feel they’ve underachieved for a couple of years, come tournament time, but Brian Harlamert has the advantage of one of the area’s best baseball cultures in Mercer County, and it always seems to work out in another 20-win season for the six-time state champions. St. Henry doesn’t get the notoriety this spring that Minster, Versailles, and Recovery might have, but John Dorner’s team is always hard to beat in their ballpark…which is small, the wind blows out, and visiting pitchers work with their head on a swivel. Baseballs tend to leave Wally Post Field with frequency. Closer to the interstate, Troy is young, but promising. Ty Welker’s Trojans always pitch, so if they can score enough runs they’re going to contend with the other two perennials just down the road. One of them is Tipp City, who likewise, has a tradition of good pitching…and the advantage of playing in a ballpark where the wind is always in their favor. 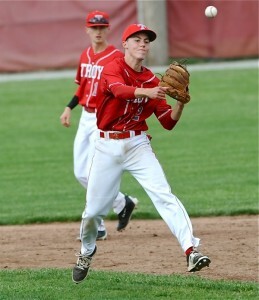 The Red Devils are always a threat to win 20, now playing in the GWOC. And the other perennials is Trent Dues’ Butler Aviators. Hardly anyone can match their record of consistency over the years, and again this year they’ll pitch well, and score enough to be a high seed in Division I come tournament time. So, as to the questions about high school baseball on Press Pros…you can either check back daily with us online, or turn on Channel 7 for Storm Tracker Weather. I think, this weekend, more the latter than the former. 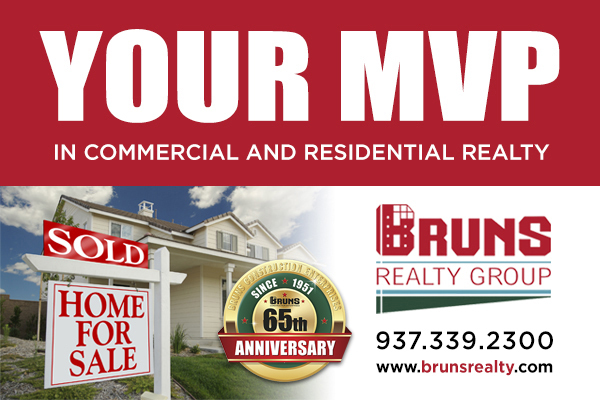 Bruns Realty is proud to sponsor coverage of area sports on Press Pros Magazine.com.